Weddings in Game of Thrones rarely end well. From the Red Wedding of Edmure Tully and Roslin Frey to the Purple Wedding of Joffrey Baratheon and Margaery Tyrell, weddings in Westeros usually culminate in tragedy. 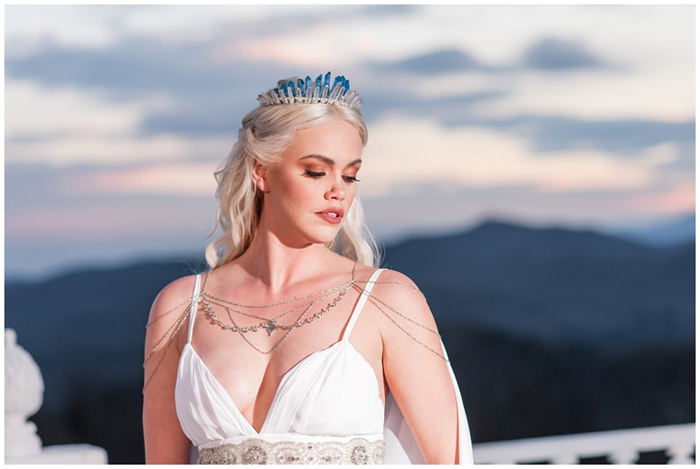 With the popularity of the show and books at an all-time high, however, Game of Thrones themed weddings are on the rise. 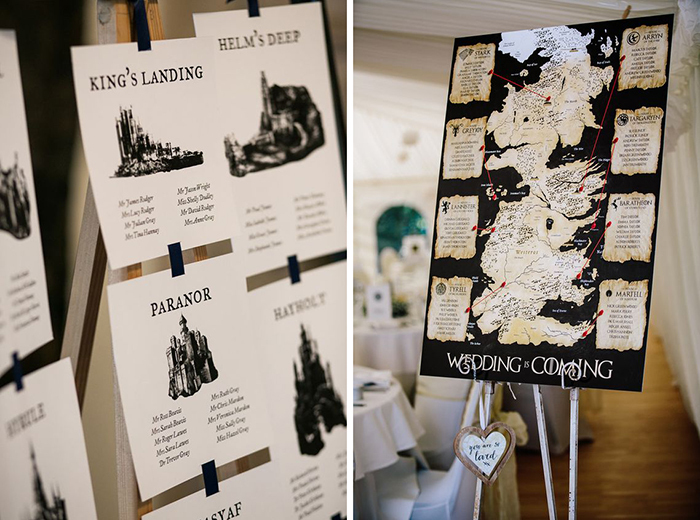 Here are our tips for creating your own Game of Thrones themed wedding (just don’t play the Rains of Castamere during your toasts, or your guests might get a bit concerned...). 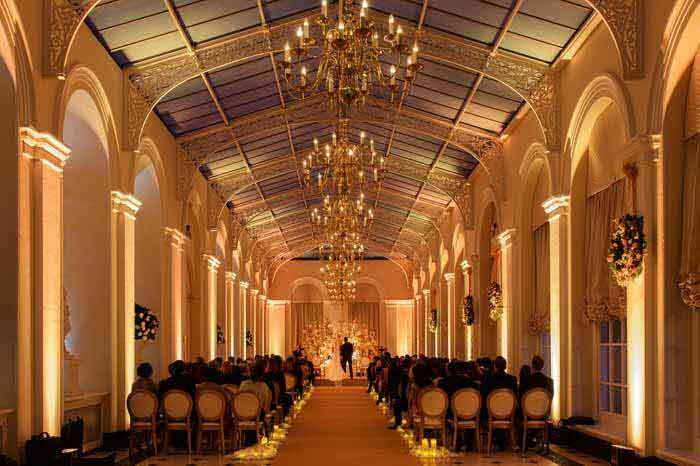 The first thing to consider when staging a GoT wedding is the venue, although your choice will largely depend on which House you hold affinity with. Do you prefer House Stark and their home at snowy Winterfell, or House Targaryen and their adventures across sunny Essos? Either way, it’s safe to say that a castle or medieval-style building is suitable for most GoT inspired weddings. 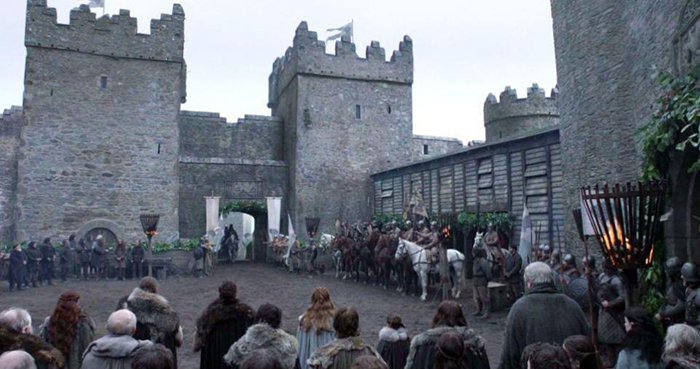 Alternatively, you could do some research into where the show is actually filmed; for example, Castle Ward in County Down, Northern Ireland is where the scenes at Winterfell were shot. The Castle, which is owned by the National Trust, features various different areas that can be used for weddings. Again, this will depend on what type of GoT wedding you are aiming for. To emulate the colder, northern families, don furs and heavy cloaks. 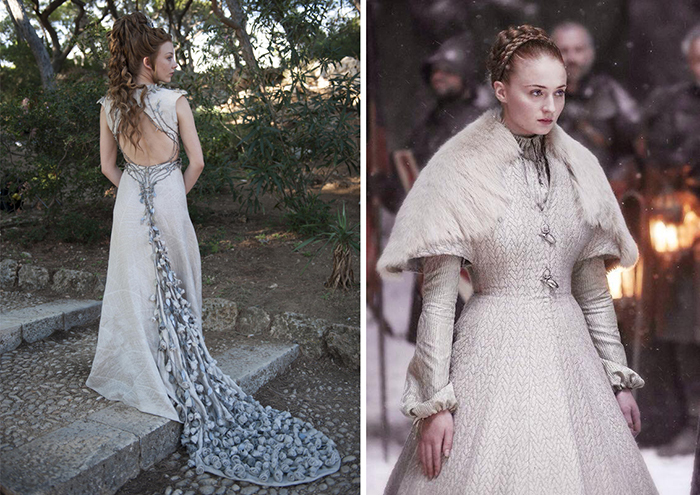 For a more King’s Landing style, go for light colours and fitted garments à la Margaery Tyrell and Cersei Lannister. Or, if you want to mimic the style of the Queen of Dragons, stick with a long, flowing white dress. For jewellery, go all out with gold necklaces and brooches featuring the sigil of your favourite house. You could even add a small tiara to your ensemble, just to let you wedding party know that you are the rightful heir to the Iron Throne, and style your hair in the dainty, plaited half-up half-down style that is so popular among Westerosi women. 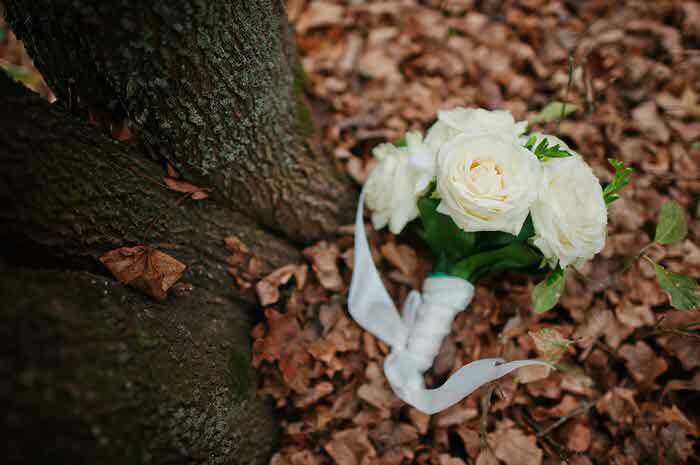 Your wedding invitations are the first thing that people will see, so ensure the theme is clear in the design. Create your invitations on parchment or thick paper, make sure to include your favourite House’s – or your very own custom-created – sigil, and deliver the invitations rolled up and sealed with wax, as though a raven has just carried them across the country. For your table plan and table names, arrange people by city or stronghold names, such as Dorne, Dragonstone, Qarth, Braavos, Highgarden, and The Eyrie. It’s probably a good idea to steer away from locations such as Slavers’ Bay or Ghost Hill, though. Design place cards for each person based on their table name, such as roses for Highgarden or coins for Braavos. 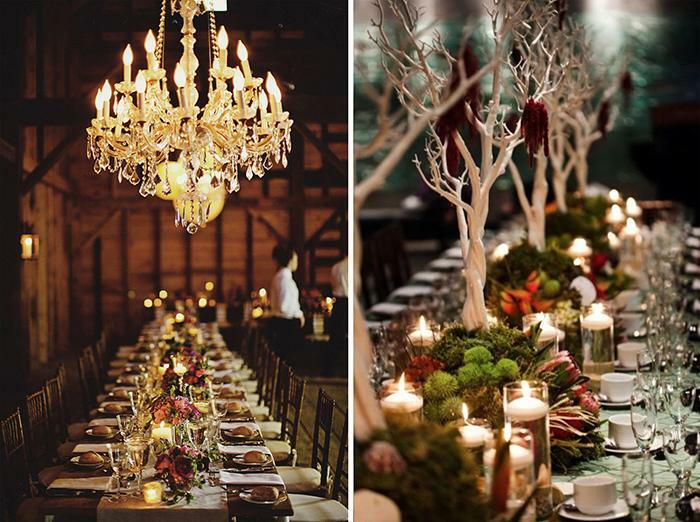 Take inspiration from the feasts in the show for your wedding decorations; think candles, carafes of wine, and lots of flowers. Fit your colour scheme to the hues of your favourite House, and cover tables with white tablecloths and runners of the same colours. Give people goblets instead of wine glasses, use metal plates and cutlery, and, if you’re able to, set your tables up as long tables instead of round ones. If you’re aiming for a Stark-style wedding, get yourself some fake trees to emulate the Weirwood trees, or embrace the greenery trend with autumnal-coloured overhanging branches. To truly reinforce your theme, pay attention to the little details. For example, you could give your bridesmaids ‘Hand of the Queen’ pins, or present your betrothed with a personalised dagger or letter opener. Incorporate slogans from the show into your vows, such as the words exchanged between Daenerys and Khal Drogo; "You are the moon of my life. 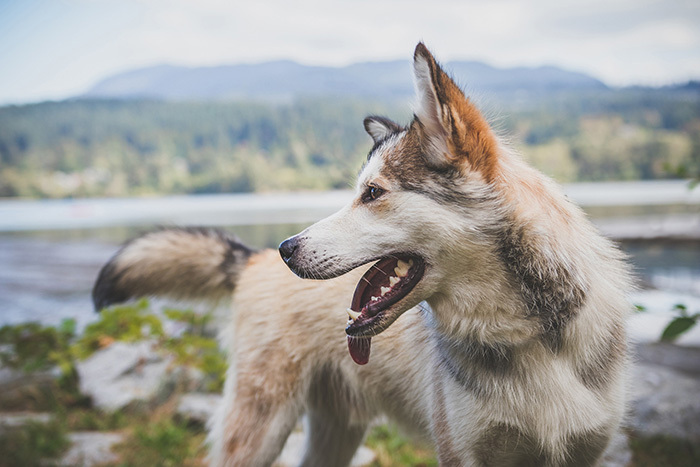 That's all I know and all I need to know, and if this is a dream I'll kill the man who tries to wake me.” If you can, arrange for some direwolves (i.e. huskies) to be brought to your venue after the ceremony for your photographs. You could even, if you’re feeling creative, create a replica papier mâché pigeon pie from the Purple Wedding, flying doves and all.